Farmer’s markets are only for the morning. The Roosevelt 2.0 and The Urban Coalition of Tampa Bay, a grassroots Non-Profit Organization are bringing markets to the evening for Twilight Market. 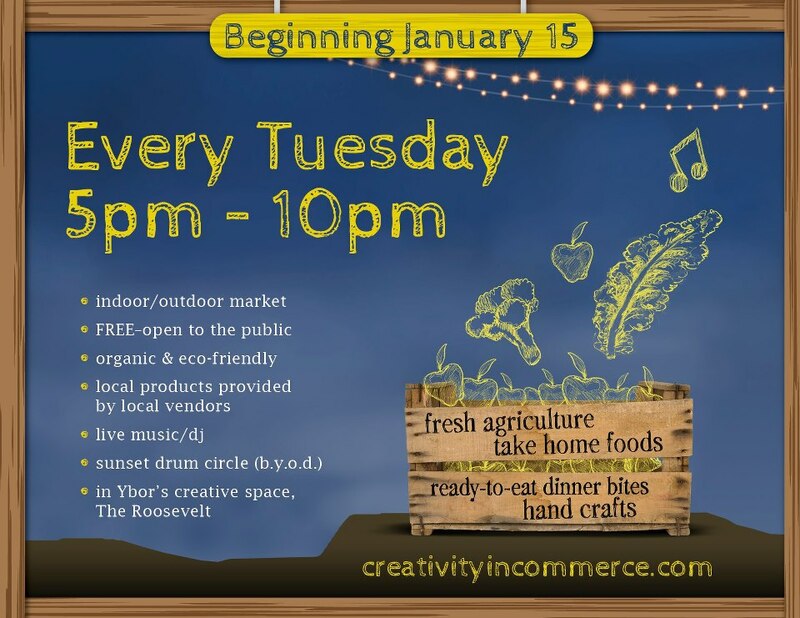 Beginning on Tuesday, January 15, 2013 and continuing on every Tuesday after that, Twilight Market will bring vendors, musicians and artisans together for a family friendly community event. The Roosevelt 2.0 (1812 N. 15th Street, Ybor City) will host the event that starts at 5pm with live music from 6-10pm. 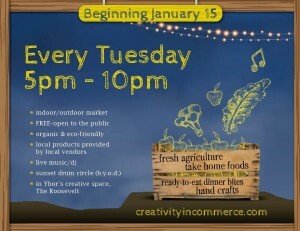 Over 20 vendors will be selling items from produce and baked goods to plants and arts and crafts.